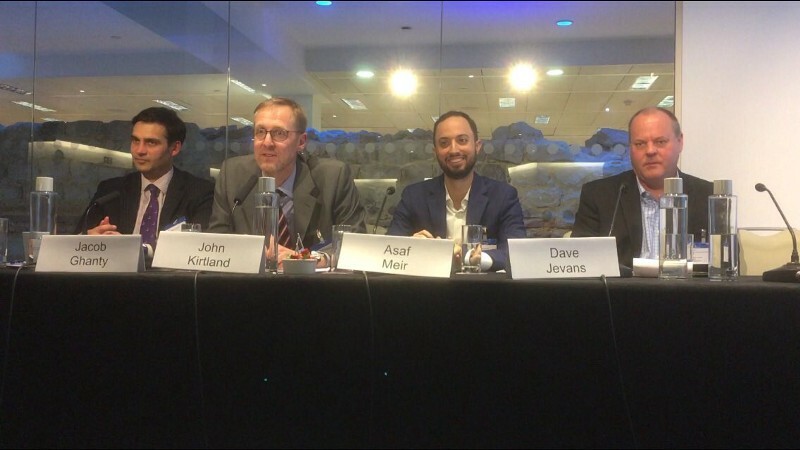 Solidus CEO, Asaf Meir, joined industry leaders (like Ripple, Global Digital Finance and Coinfloor) and major UK and EU regulators (like Bank of England, HM Treasury, the FCA, FSB and the French AMF) at the Regulation of Cryptocurrencies conference in London last week. The one-day event offered honest discussion between regulators — who are following the industry closely and admit they have much to learn — and innovators — who are thirsty for regulatory clarity, but increasingly understand the need to self regulate (or, as Coinfloor CEO Obi Nwosu put it, work for “preemptive compliance.”) More of our insights from the event, and from Asaf Meir’s panel on the tech challenges of regulating cryptocurrencies, in a separate post. Asked if the approval of a Bitcoin-ETF is “inevitable” during a podcast interview, SEC Commissioner Hester Peirce responded that “it’s definitely possible.” Peirce, who famously dissented against the securities agency’s rejection of an application to trade an ETF that includes Bitcoin on a traditional exchange, stressed the relevancy of existing regulatory framework, saying the industry cannot ignore them “just because you are calling something Crypto.” One of the key reasons for the repeated rejections was the lack of sufficient surveillance to prevent manipulation. OUR TAKE: The SEC’s approach to cryptoassets thus continues to be twofold — increasing enforcement based on traditional security rules on the one hand, while gradually and carefully making way for regulated digital assets. And while US authorities are still considering applications, SIX, the largest stock exchange in Switzerland and fourth largest in Europe officially allows trading of an Exchange Traded Product invested in Bitcoin (48%), XRP (25.4%), Ethereum (16.7%), Bitcoin Cash (5.2%) and LiteCoin (3%). Issued by Amun, a London-based company, the ETP is traded under the ticker symbol HODL. OUR TAKE: Switzerland is a global symbol of traditional banking. When a major exchange — supported by regulators — enables regulated engagement with cryptoassets, it’s a bold signal to the rest of the finance world. OUR TAKE: This increased attention to the role manipulation played — and still playes — in digital asset markets, exemplifies the lack of effective trade surveillance. Strong market surveillance infrastructure, tailored for blockchain-based assets and powered by machine learning, is key to ensuring more transparency and real time detection of manipulation in the future. Grayscale, one of the leading fully-regulated investment houses for digital assets, released it’s Q3 investment report. The report notes that 70% of $81 million new investments this quarter come from institutional clients. Year to date, institutions account for 59%. OUR TAKE: Wall street and other institutional investors are clearly interested in the value offered by digital assets, and Grayscale’s numbers add to the piling evidence that many of them are already operating in the space. OUR TAKE: Particularly at a time when cryptocurrencies, the first implementation of blockchain-based trading, are declining in value, the study serves as another “undercurrent” indicator that digital assets as a class are nonetheless on the rise.